Ready for the return of the NYE special? Call 612-21-SCOPE or use Record MP3 to wish someone a happy new year. We’ll play it on the show. Act fast! Supplies are limited. All of us here at The Scope just wanted to take a quick second to wish all of our fans out there Happy Holidays, Merry Christmas, and a Happy New Year. Although we definitely planned on all sorts of holiday and 2013 wrap ’em up type programming, the reality of tight schedules, illness, and vacations got in the way this year. You know, that stuff just happens. At any rate, we hope you all get some time off of work, spend some time with your families, and just enjoy the season! We’ll definitely be back with more Scope goodness soon. Thanks for sticking with us, Scopers! Our primary revenue stream for supporting the show is about to kicked in the nards. As you may know, we have, at the moment, an Amazon Associates account. Following our Amazon link allows you to make a purchase through Amazon and have a portion of that sale flow into our coffers. Well, that is about to change. As of July, our associate account is being closed because we happen to reside in Minnesota. This is through no fault of our own. Two-thirds of us were born here and had not the good sense to leave during one of those tropical summers we endure. We can’t explain Adam. Seems a little shady on Amazon’s part, but that’s the hand we’ve been dealt. How can you help? You can buy stuff, that’s how. You have less than two weeks to make a purchase through Amazon that will still aid us in producing the quality content you’ve come to expect on that regular irregular schedule you’ve grown to love. Once the calendar hits July, your purchase will benefit only Amazon and yourself. In these troubling times, I choose to lean on the great orators to promote action. In the immortal words of President George W. Bush: “go shopping“. There really was supposed to be a “Very Special Holiday” edition of The Scope…but between some sort of nasty mucus virus and a couple of holiday vacations, it never quite came together. Lest you think it would have been a boring show, we had plans to tell tales of Christmas past, with sugar plums and carefully hung stockings. But it didn’t happen. And here we are. The best your Scope crew can do is wish all of you, our treasured fans, a happy and safe holiday (no matter what you celebrate!) We all hope you can spend it with people you love, away from the “rat-race,” and completely liquored up. But no mean drunk action. Only happy, semi-sloppy boozing need apply. Your Scope crew hopes to be back December 31st with a grand New Year’s Eve program. But until then, enjoy the season, folks! 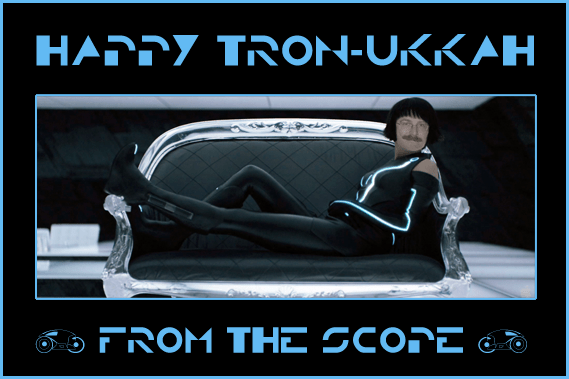 Yes, we already posted our annual holiday message. But it wouldn’t be The Scope if we didn’t repost one of the best examples of photoshopped goodness to ever come from your favorite podcast. It’s an oldie but goodie. Our first holiday greeting image. Enjoy. 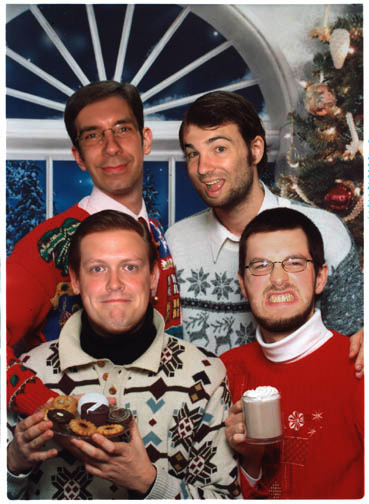 The Scope crew wants to wish everyone out there an exciting, safe, and satisfying holiday, whatever it is you may celebrate! One programming note: we’re not sure if there will be one final show in 2010…but as always, we’ll keep you kids posted! Good news, everyone! 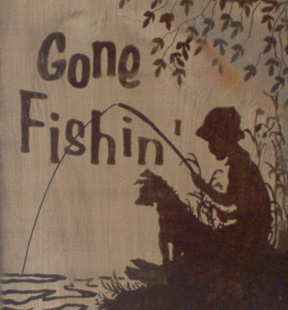 Summer vacation is over, and The Scope is scheduled to return to podcasting this weekend. We will return with our annual fall TV preview. Make sure you tune in to find out which shows we pick to get canceled first. If you can’t wait any longer for a Scope fix, check out the latest episode of Zero Hour with John Norton. Podcast Trivia Challenge champions Shane and Jared return to co-host the next round of trivia challenges. Ever wanted to know what Hans Christian Anderson was famous for baking? Zero Hour has the answer! If you haven’t guessed by now, your Scope pals are enjoying a summer break while we deal with vacations, jobs, families, and life in general. With any luck, we will return with all-new Scope programming in a couple of weeks. Once again, Jared and Shane have seen fit to leave their stain on an episode of Zero Hour with John Norton. Hour 25 covers Ocarina of Rhyme, American Idol, The Coco and Lefty Show, Headlines, and TV Shows That Need To End. We also play a game called “Yahoo! Schmanswers”.